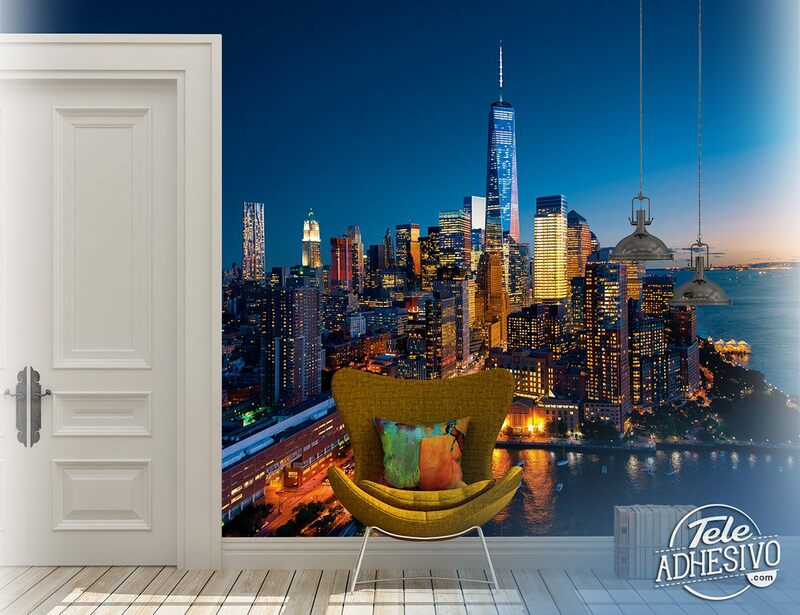 Wall mural Manhattan at night. 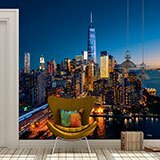 Impressive nocturnal photograph of the end of Manhattan, with thousands of building lights and streets illuminating the scene. 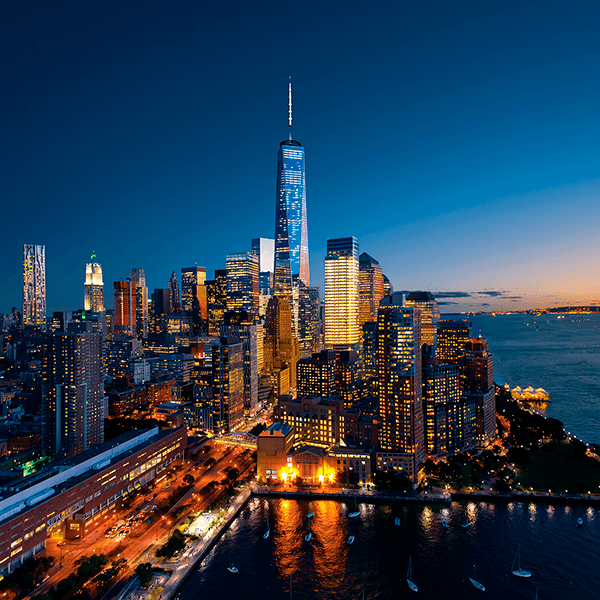 In the middle of the skyscrapers, the One World Trade Center, the sixth tallest building in the world, stands out above all else.